Armata: Game Changing Russian MBT Program? After the unexpected scrapping of the mysterious T-95 MBT (together with several land systems) the Russian Ministry of Defense has made known its intention to field a powerful new main battle tank by 2015. Russia’s mechanized forces, while formidable, are currently equipped with a vast number of Cold War-era tanks that are deemed unequal to the vaunted performance from rival NATO MBTs. The T-90 in particular has been scheduled for obsolescence. 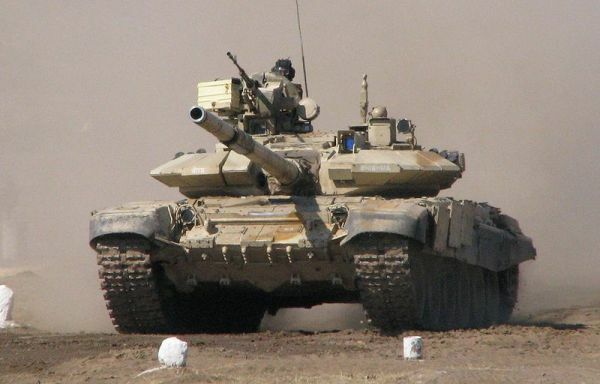 Being an upgraded T-72M, the T-90 earned a reputation as an export success with confirmed sales to India, Algeria, Venezuela, Uganda, and Azerbaijan. But the very country that manufactures it in bulk has second thoughts about deploying the tank in large numbers. To date, there are less than 500 T-90’s in service with Russian armored units with the older T-72B’s and T-80U’s still being widely used. As late as the Georgian War in 2008, Russian mechanized units were spearheaded by significant numbers of aging T-62’s. The start of the Armata program is in line with Russia’s ambitious rearmament drive whose overall goal is to rebuild the military from the ground up. Specifications for the ‘Armada‘ Armata system are unavailable though news reports indicate a new main gun, a new turret, engine, and secondary machine gun unit. Another interesting design feature is the separated crew and magazine compartments to improve survivability. The Armata itself will borrow from the existing T-90 and is at best a significant improvement of the present system. The T-90’s latest variant is already slated to be showcased at an upcoming arms show at Nizhny Tagil. It’s a gesture that Russian officials believe shall contribute to its future export success among foreign clients.